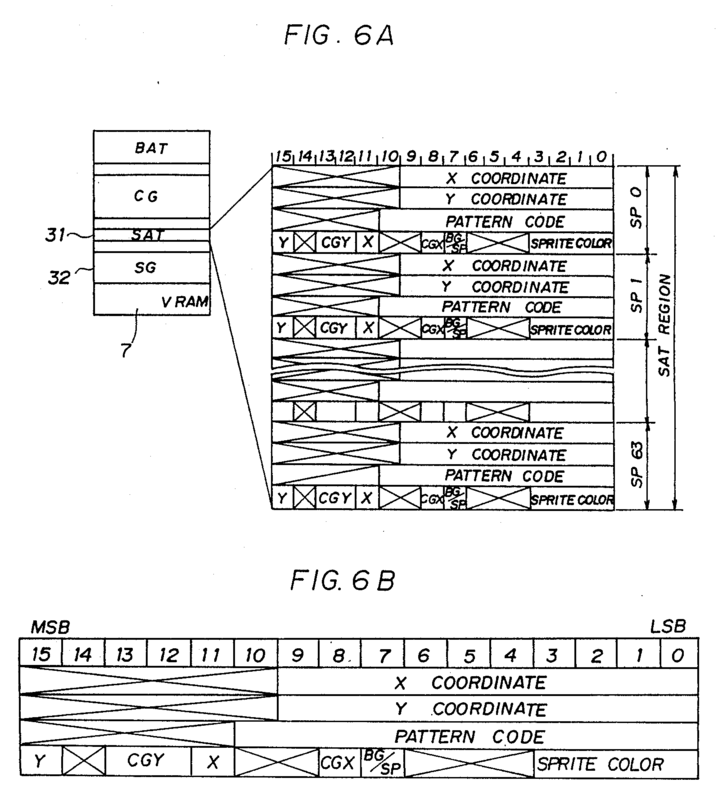 An apparatus for the control of an access to a video memory comprises a memory width register having a content of a number of pixel periods by which an access timing is determined to address a video memory. Therefore, an access timing is easily controlled dependent on a memory speed of the video memory only by changing the content of the memory width register. When the video memory is accessed during a display cycle of the video memory, video data may be stored in a buffer memory, and transferred from the buffer memory after the display cycle is finished. 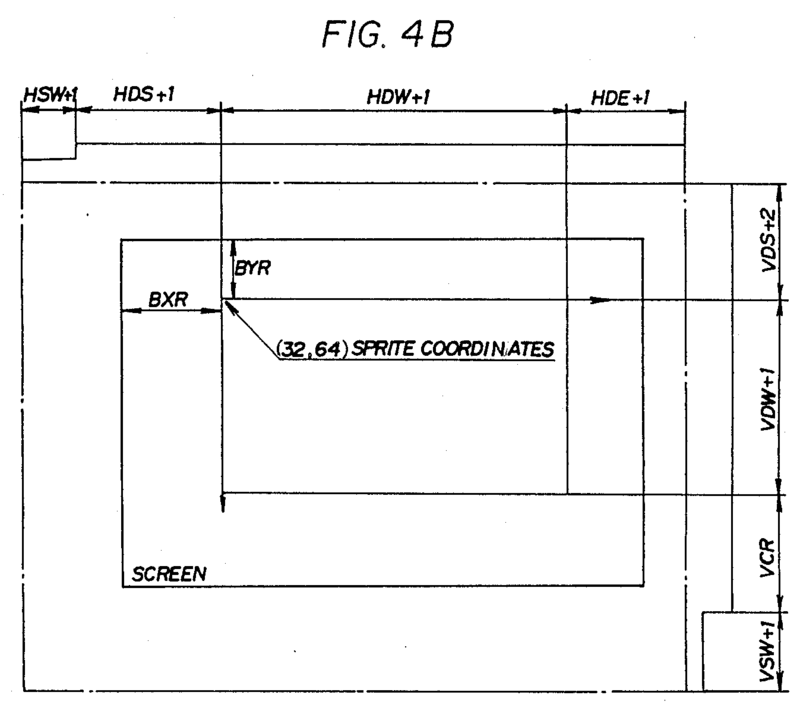 The invention relates to an apparatus for the control of an access to a video memory, and more particularly to an apparatus for the control of an access to a video memory in which a number of pixel periods is controlled at the time of an access to a video memory and/or a timing of a data transfer is controlled during a display cycle of a video memory. 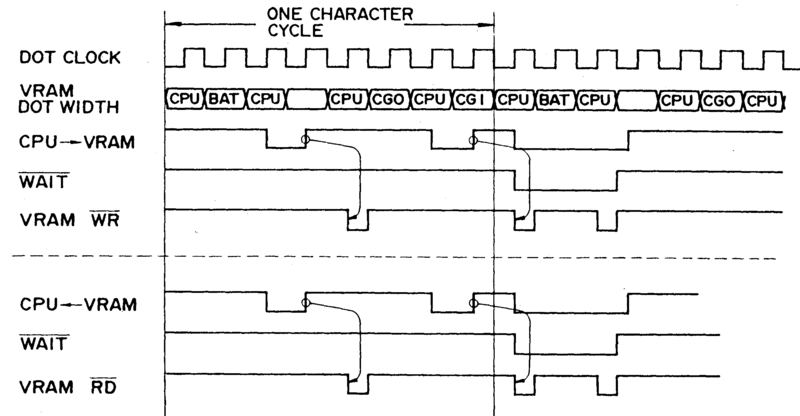 There has been used an apparatus for the control of an access to a video memory in which an access is allocated from a CPU to a video memory during the first half of 4 bits in a horizontal one character cycle of 8 bits, and an access is allocated to a character generator of the video memory during the latter half of 4 bits therein. In the apparatus for the control of an access to a video memory, flickers are prevented from being occurred on a screen because the writing and reading of data which are performed from the CPU to the video memory and the access to the character generator of the video memory are divided sequentially. According to the apparatus for the control of an access to a video memory, however, there is a disadvantage that an access of the video memory can not be controlled in its timing because the access timing is fixed as mentioned before. In a personal computer in which a processing time is widely varied, for instance, from 40 ns to 139 ns dependent on a resolution of the screen, therefore, a property of the video memory is not sufficiently utilized even if the video memory is a high speed memory. On the other hand, a low speed memory can not be used in an apparatus in which a high speed memory is not required in view of a specified characteristic in a case where an access timing is fixed in a high speed mode. There is a further disadvantage that a throughput of the CPU is decreased because the CPU has to wait the writing of data into the video memory and reading of data therefrom during a display cycle of the video memory, although flickers are prevented from being occurred on the screen. Accordingly, it is an object of the invention to provide an apparatus for the control of an access to a video memory in which an access to a video memory can be easily controlled in its timing dependent on a speed of a video memory. It is another object of the invention to provide an apparatus for the control of an access to a video memory in which a throughput of a CPU is improved. wherein a pattern defined by said video data is displayed on a screen. register means for storing a number of pixel periods within a character cycle for processing the video memory. means for deciding said number of pixel periods in accordance with said content of said register means. means for addressing said video memory at timings determined in accordance with said number of pixel periods. means for latching video data read from said video memory at said timings. wherein a pattern defined by said video data is displayed on a display screen. 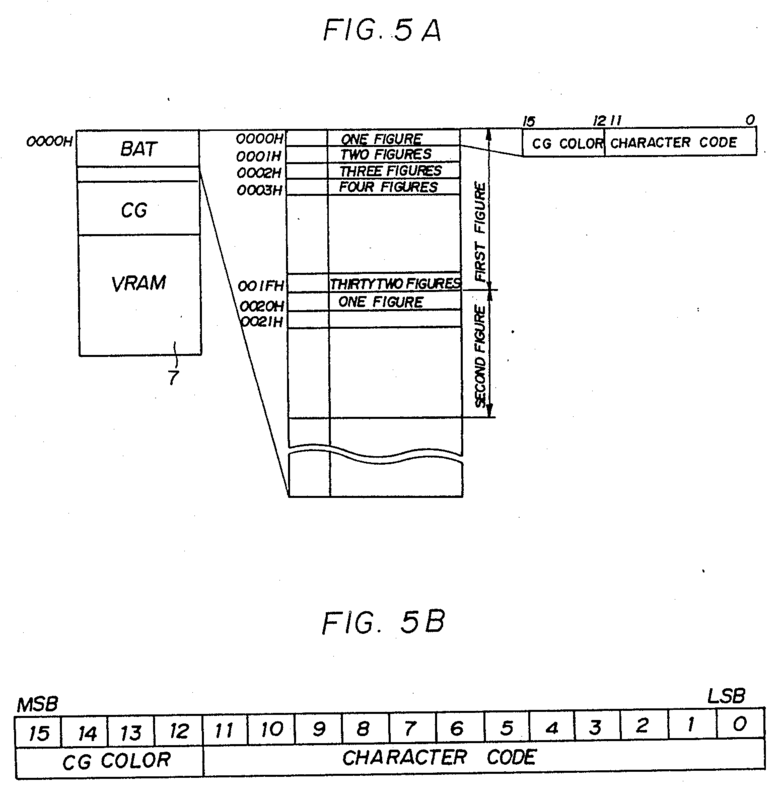 An apparatus for the control of an access to a video memory according to claim 1.
wherein said video data are read from a character generator in said video memory, and said character generator is addressed in accordance with a character code stored in a background attribute table included in said video memory. 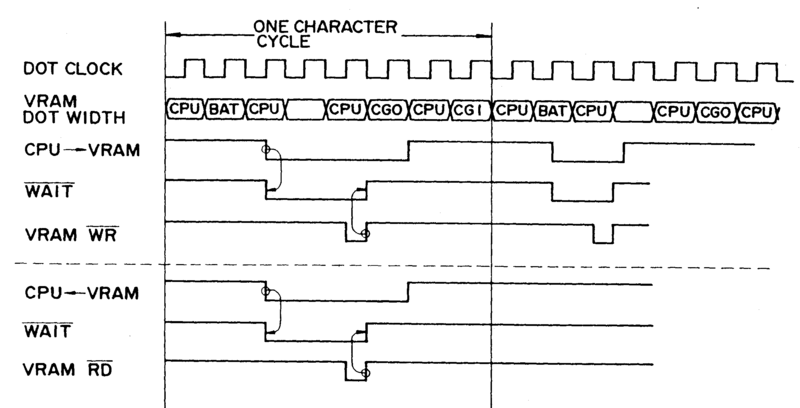 An apparatus for the control of an access to a video memory according to claim 2.
wherein said character generator includes four facts which are combined to define said pattern. 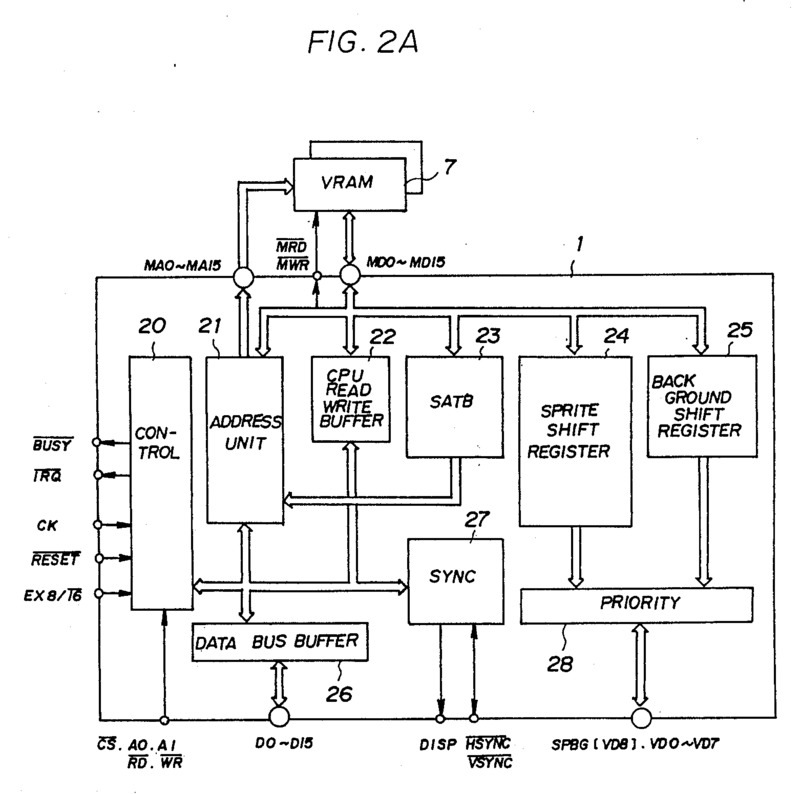 further comprising buffer means for storing said video data which are read from said video memory during a display cycle of said video memory, said video data being stored until said display cycle of said video memory is finished. 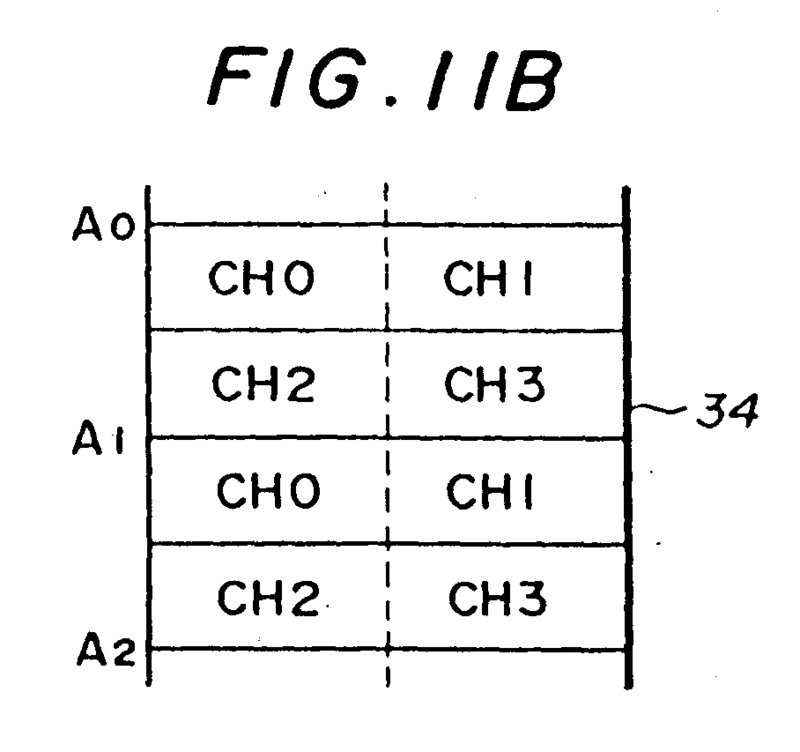 An apparatus for the control of an access to a video memory according to claim 1, wherein said means for deciding said number of pixel periods includes means for generating a frequency having a period equal to said pixel period. 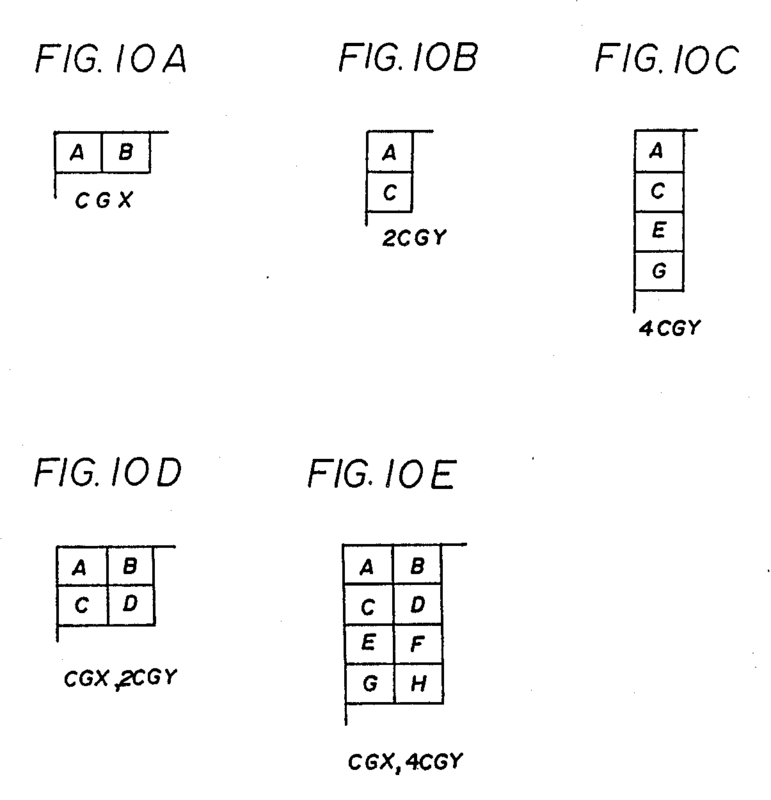 An apparatus for the control of an access to a video memory according to claim 5 wherein said means for generating a frequency having a period equal to said pixel period includes an oscillator circuit and a frequency divider. a plurality of address registers. address selector means responsive to said means for deciding said number of pixel periods for selecting one of said address registers to be a selected address register and addressing said video memory in response to a content of said selected address register. 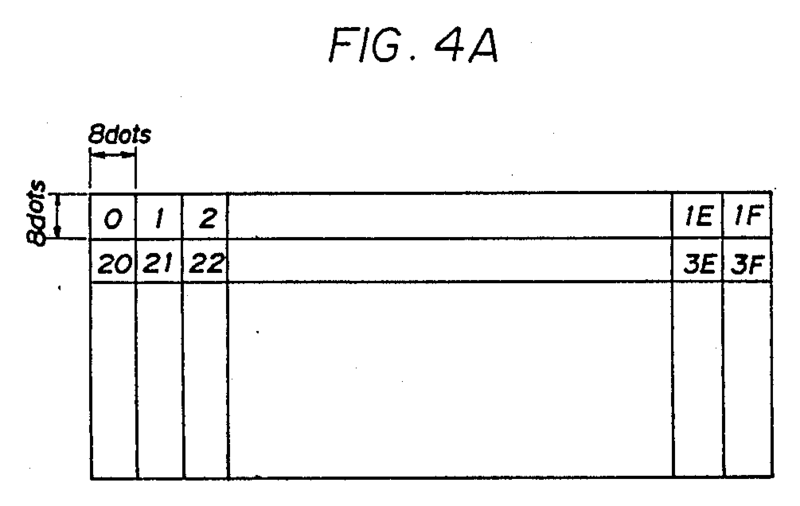 An apparatus for the control of an access to a video memory according to claim 7, wherein said means for deciding said number of pixel periods includes means for generating a frequency having a period equal to said pixel period. 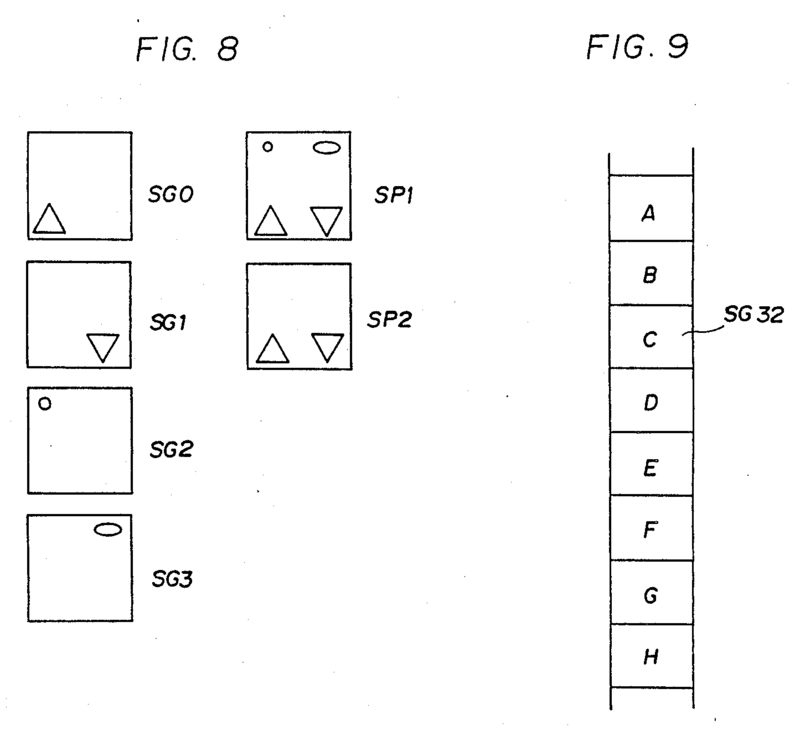 An apparatus for the control of an access to a video memory according to claim 8, wherein said means for generating a frequency having a period equal to said pixel period includes an oscillator circuit and a frequency divider. said controlling means generates said wait signal when said video memory is to be accessed by said addressing means during a period when said video data is stored in said buffer means. 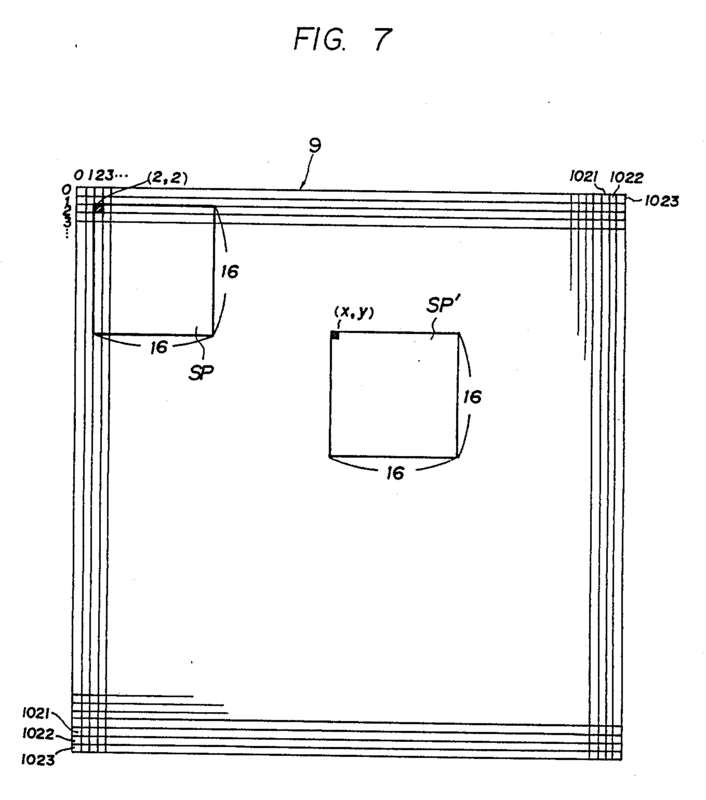 An apparatus for the control of an access to a video memory according to claim 10, wherein said video memory includes timing means for generating a frequency having a period equal to said pixel period. 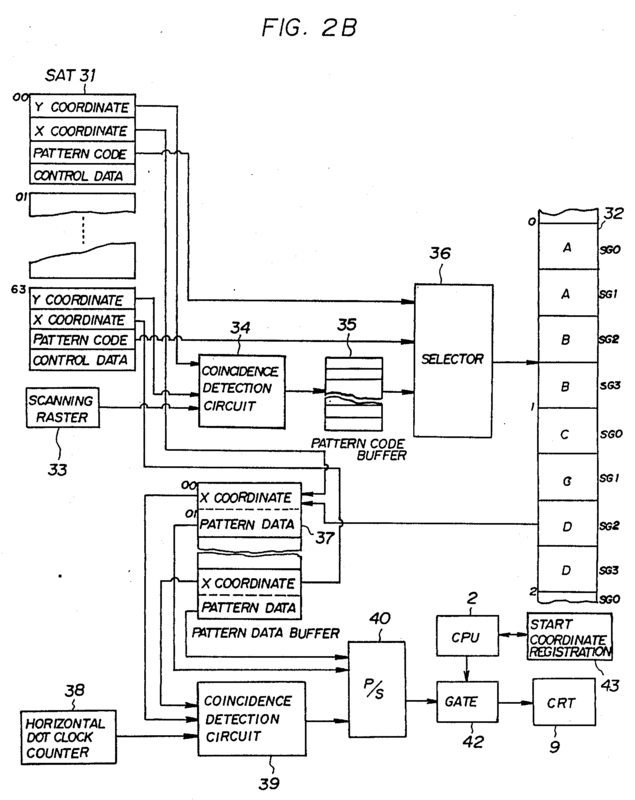 An apparatus for the control of an access to a video memory according to claim 11, wherein said timing means includes an oscillator circuit and a frequency divider. address selector means responsive to a timing signal having a frequency with a period equal to a pixel period for selecting one of said address registers to be a selected address register and addressing said video memory in response to a content of said selected address register. 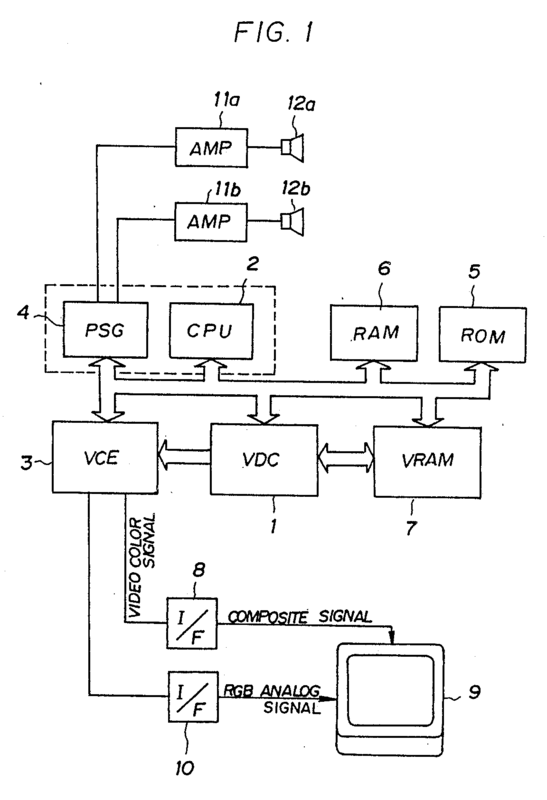 An apparatus for the control of an access to a video memory according to claim 13, wherein said video memory includes timing means for generating said timing signal. 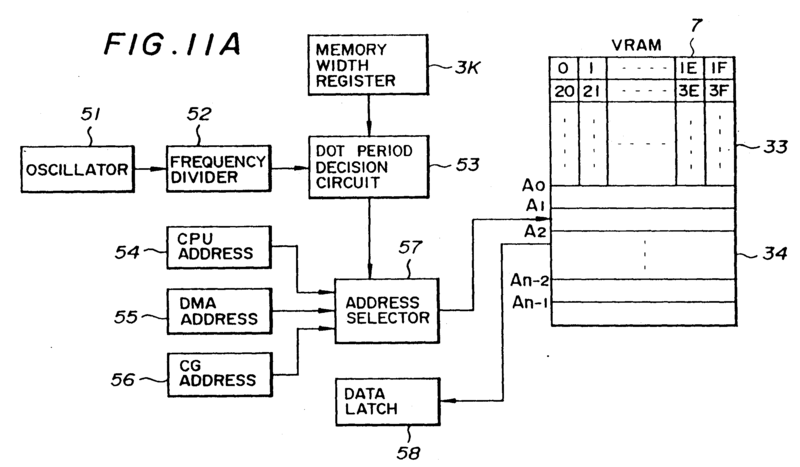 An apparatus for the control of an access to a video memory according to claim 14, wherein said timing means includes an oscillator circuit and a frequency divider. This page was last modified on 16 January 2015, at 15:05.